OralSmile Dental Clinic Tavira are dental specialists. Dentistry is the area responsible for aesthetics and restoration of fractured teeth as well as the restoration of teeth with cavities. The treatment of such teeth is accomplished by replacing the lost tooth structure. Within this area there are certain treatments, including teeth whitening, reconstruction with direct or indirect composite resin (inlay / onlays), veneers and aesthetic restoration. Tooth decay is caused by certain bacteria that can lead to partial or total destruction of the tooth. The presence of such bacteria in the mouth is associated with poor nutrition and poor oral hygiene, which facilitates emergence of bacteria. In extreme situations tooth decay can lead to serious infections, with repercussions in the oral health of the patient. How do dental caries occur? Dental caries are caused by the action of acid on the tooth surface. Food containing sucrose like sweets, cakes, gums, sugary drinks and so forth react with bacteria on teeth causing tooth enamel to be attacked causing dissolution of tooth mineral content and hence tooth decay. Are all teeth affected in the same way? No. Children and teens are more susceptible to tooth decay. Molars and pre-molars are more susceptible to decay due to their shape and the difficulty of brushing all the little pits and fissures this kind of tooth has. Do cavities cause severe pain in the teeth? The onset of caries is generally slow at the beginning and the process is marked by the appearance of a white spot on the enamel surface which over time leads to the formation of a small cavity in the tooth. Through this cavity the bacteria quickly reaches the dentin which is less hard than enamel, being more easily dissolved by acid produced by bacteria. At the beginning of the appearance of such small cavities, significant symptoms are not detected. However in later stages, deeper cavities increased sensitivity and bad breath may be noticed. Pain arises through different stimuli (hot, cold or sweet), or there may be intense spontaneous pain. In this case, the decay has reached the dentin, resulting in worsening symptoms as the cavity becomes deeper. The presence of a cavity or absence of a particular part of the tooth is an already advanced carie. However, early stages of decay are not easy to spot, and usually can only be picked up by a dentist. If you notice any change in tooth colour, such as white spots, yellowish, brownish or black on the top of the tooth, you should consult the dentist for an analysis of the tooth. 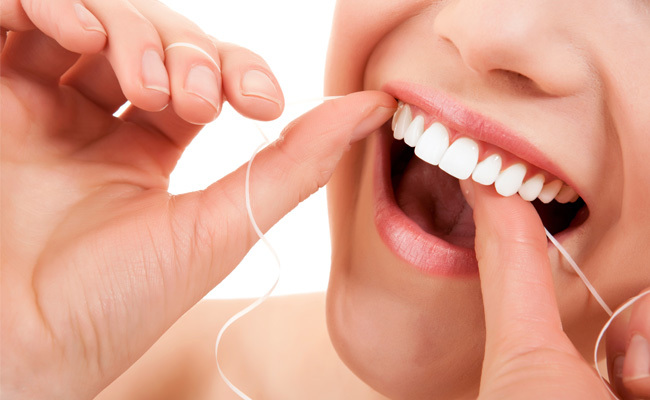 Caries between teeth can be detected when flossing, see the dentist if the floss gets stuck between teeth. What precautions should I take to prevent tooth decay? Perform proper daily oral hygiene. Brush your teeth at least twice a day with fluoride toothpaste after meals. Eat nutritionally balanced meals and limit snacks between meals. If brushing is not possible after a main meal, chew sugar-free gum. Use of a fluoride supplements should be performed by your dentist. What types of materials are used for tooth fillings and restorations? Materials composed of tooth-coloured resin are the most commonly used by dentists in teeth restoration. In posterior teeth silver amalgam may be used. In teeth with very extensive decay the best treatment option is a fixed prosthesis. Such restorations require laboratory work, so it requires more appointments. Can a tooth darkened by amalgam resume a whiter tooth colour after a new restoration with composite resin? Most of the old fillings made of amalgam affect the pigmentation of the tooth tissues (enamel and dentin) resulting in a greyish tone. The replacement with a composite resin can resolve this aesthetic problem. However, if the pigment is too deep, it may be need to be eliminated by removing part of sound tooth structure, which is not desirable in most situations. Does a filling in composite resin have the same length of a metal amalgam restoration? The amalgam restorations or gold have a lifespan of 10-20 years. The composites are more sensitive, with less durability. However, the current clinical studies have shown excellent long-term results with maximum durability of 8 to 10 years. How should I look after fillings and restorations? It is recommended to perform a daily oral hygiene routine. A regular visit to your dentist is important and will allow clinical reassessment of the fillings. Fillings are continuously subjected to force arising out of chewing of food, which may cause wear, cracks and fractures. If this happens, a repair or part replacement must occur. Is there any food or drink that interferes with the colour of fillings and restorations? In the composite resin fillings, colour can change over time but mostly colour change is due to artificial dyes included in foodstuffs. Coffee, tea, soft drinks and tobacco all stain teeth and composite resin.